"True karate is this: that in daily life one's mind and body be trained and developed in a spirit of humility, and that in critical times, one be devoted utterly to the cause of justice." "Originally this was the most important thing about martial arts - to reach a higher level, to become a strong human being. Strong doesn't mean big arms. It means who can be a more strict human being with himself. That is the ideal of martial arts." 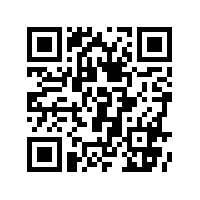 Click or scan the QR code to subscribe to the NorCal SKA calendar of events on your smartphone. Pronunciation keys of Japanese terms are given in parentheses. A macron or a line over a vowel indicates that it is pronounced for twice the length of the vowel without a macron or a line. Sometimes an "h" is added instead, as in Mr. Ohshima's name. The first "o" in Mr. Ono's name, on the other hand, is not lengthened. Ohno and Ono are two different names. However, these sounds are just approximations and there are some exceptions. Please note that the pronunciation keys given here are only approximations and are primarily designed for the members in the U.S. and Canada. They may not necessarily be helpful for the members of international affiliates. Tachi (tah-chee) changes to dachi (dah-chee) when used after other words. Harai (hah-rah-ee) changes to barai (bah-rah-ee) when used after other words. Harai is one kind of block. Thrust tsuki (tsoo-kee) changes to zuki (zoo-kee) when used after other words. Keri (keh-ree) changes to geri (geh-ree) when used after other words. Kumite (koo-mee-teh) often becomes gumite (goo-mee-teh) when used after other words. For more information on nagewaza, please refer to Karate-Dō Kyōhan, pages 227-232. According to the Japanese culture, it is not appropriate to call oneself Shihan or Sensei, or introduce oneself with the title Shihan or Sensei, e.g., Instructor John Doe shouldn't call himself Shihan, Sensei, Doe Shihan or Doe Sensei. His students can, but he shouldn't. The same thing applies to the honorific san (meaning Mr., Mrs., or Miss). Mr. John Smith shouldn't call himself Smith-san or John Smith-san. San can be attached only to the end of others' names.